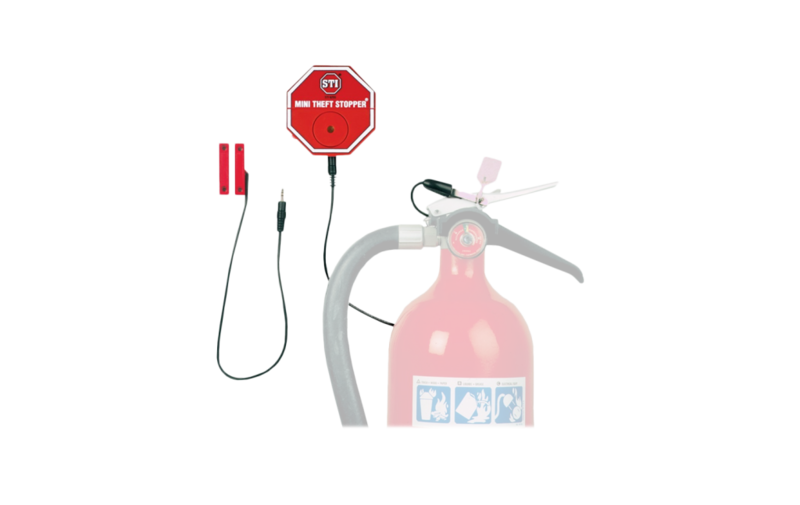 Here is an inexpensive yet highly effective way to protect fire extinguishers and a wide range of equipment such as fire hoses, sprinkler shutoff valves, guns and medicine cabinets from theft. The device is compact, highly effective and extremely versatile. It does not interfere with fire fighting or use of the protected item in any way. Also, the simplicity of design contributes to its high degree of reliability.